Family beach vacations for all ages at Tryp Cayo Coco hotel, Cayo Coco. Vacations for all ages at the 4-star Tryp Cayo Coco Hotel. All-Inclusive hotel for relaxing, kid-friendly, affordable family vacation that the kids, Mom and Dad will truly enjoy. 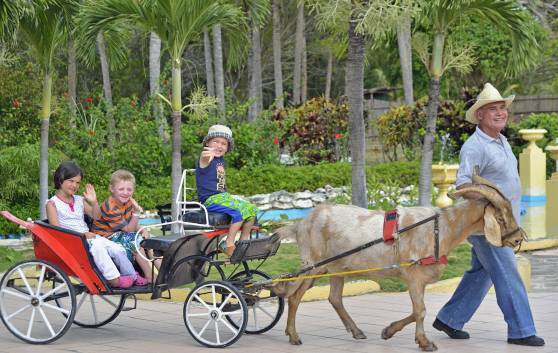 The hotel offers family suites, mini-clubs, baby-clubs, baby sitting services and a special show for families. The price includes everything you and your family need for a full vacation—all meals, lodging, daily sitter services, and most activities. Trips and packages available for all families.